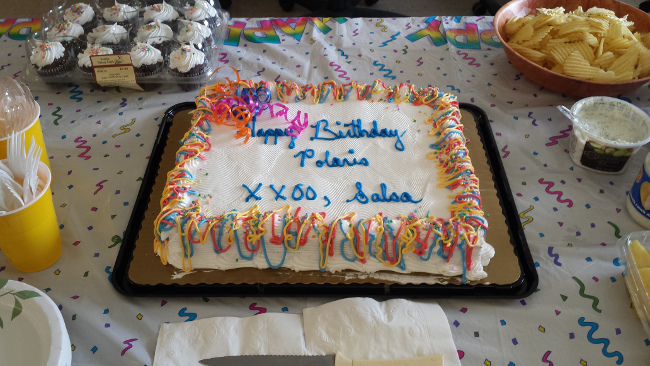 One year ago on May 2nd, the SALSA Consortium began a new chapter in life — one shared by the Polaris Library System. 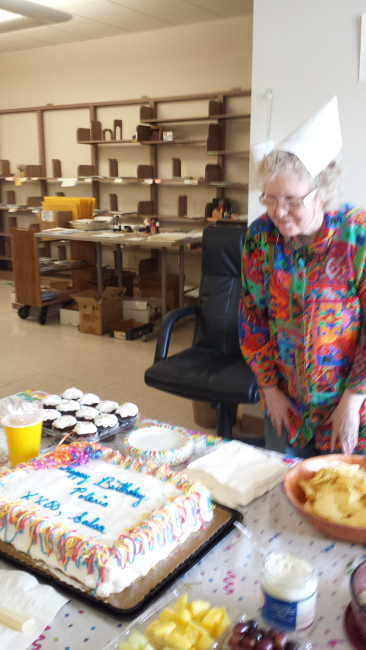 To celebrate this first birthday, the Technical Services Bureau at the State Library hosted a shindig — and party-goers reveled with cake, fried pickles and party hats made of MARC records! State Library almost 730,000 items!